Abstract - In this era, we are surrounded by various electrical equipments which are in turn controlled by the ac signal. Thus, it is essential to study the properties of these signals so that we can extract information from them and manipulate them. 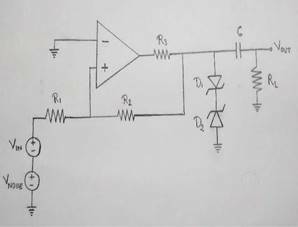 Zero Crossing Detector Circuit is one such example through which we can explore the attributes of ac signal. A Zero Crossing Detector (ZCD) is a type of voltage comparator, with the reference level set to zero volts. 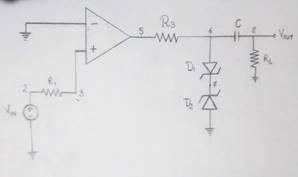 It is used for detecting the zero crossings of an ac signal, i.e. 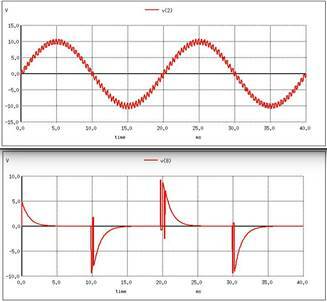 transition from positive half cycle to negative half cycle or negative half to positive half cycle in the input signal. (Vpp = 20V) from positive half to negative half and vice-versa. We will be exploring the difficulties involved in implementing a practical ZCD due to interference of noise and other factors in the original signal. We will also see how to accurately determine the zero crossings in the practical circuit. very large in the order of 105 and hence even a small difference between the two terminals drives the output voltage nearly to supply voltage. 2) Zener diode: Zener diode or breakdown diode is specially designed pn junction diode which have a low predetermined reverse breakdown voltage reverse breakdown voltage that takes advantage of this high reverse voltage. 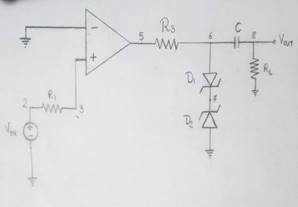 Zener diode is the simplest type of voltage regulator and the point at which zener diode breaks down or conducts is called "Zener voltage". 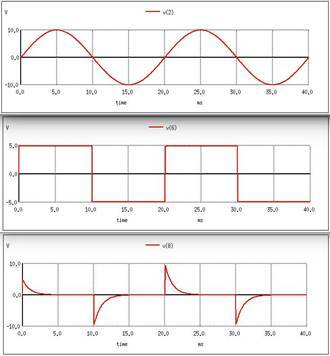 voltage at non-inverting terminal is greater than zero, positive output voltage(Vp) is obtained. And when it is less than zero, negative output voltage(Vn)is obtained. 3. 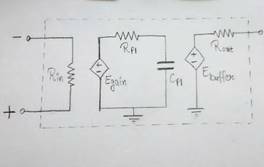 RC circuit gives positive and negative impulses at every transition of output levels. 1. Zener voltage regulator gives smooth square wave as Output, which is then passed through RC circuit that gives alternate positive and negative Impulses. 2. In case of practical zero crossing detector(noise added),two threshold values are obtained. 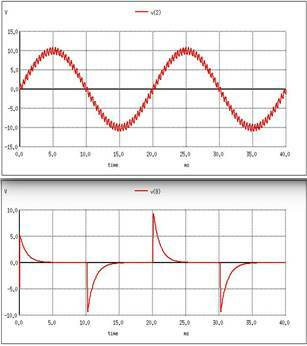 By choosing thresholds separated by a voltage larger than the noise,the comparator's output produces a nice and clean squarewave.